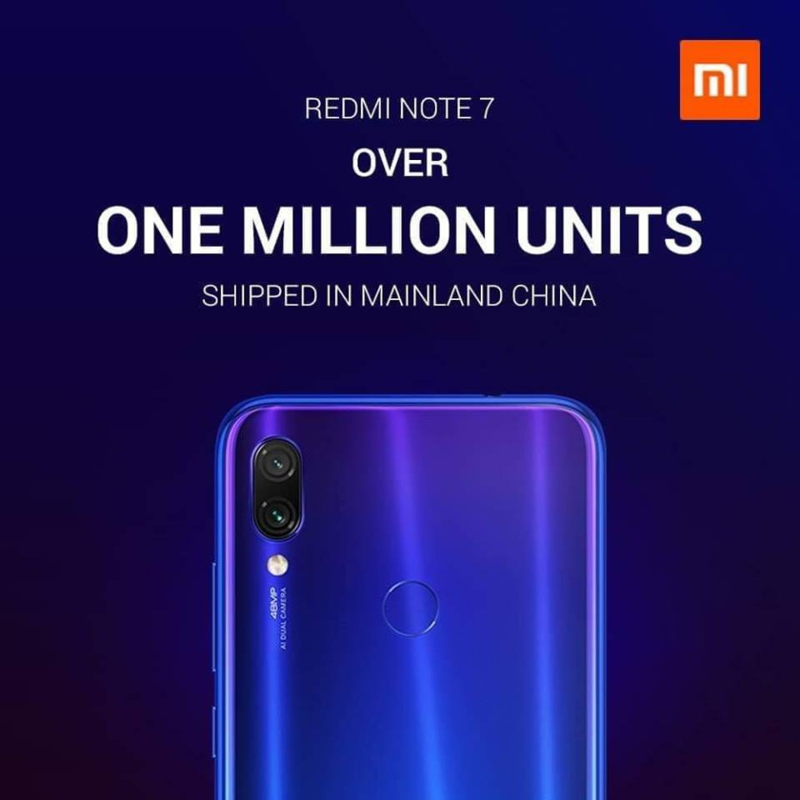 It took a month for Redmi to exceed the share of one million Redmi Note 7 sold in China, the only market where the smartphone is officially available. The numbers of Redmi Note 7 are destined to grow further, given the imminent launch in India and the consequent arrival on all international markets. Sales could be significantly increased thanks to the launch of Redmi Note 7 Pro, which should be presented in China these days. Among the features that have contributed to this success there are certainly the great resistance to shocks and falls, thanks to the use of a glass Gorilla Glass 5 and the photographic industry, in which stands the huge 48-megapixel sensor Samsung ISOCELL GM1, which should be replaced by a Sony IMX586 in the Pro variant.